Mercato della Pescheria is a very special place for your Vegas destination wedding on the Las Vega Strip. The Grand Shoppes Canal bridge is a charming backdrop as onlookers take in the beauty of your special day. Your dream has come true; your wedding reception dinner awaits at Mercato della Pescheria, an authentic Italian Restaurant at The Venetian, in St. Mark’s Square. We prepare everything fresh and to your taste, serving your wedding guests an authentic Italian experience with grace and style. Our capacity includes private dining areas for intimate gatherings, and dining rooms for up to 400 in banquet style or 800 / 1100 in reception style. 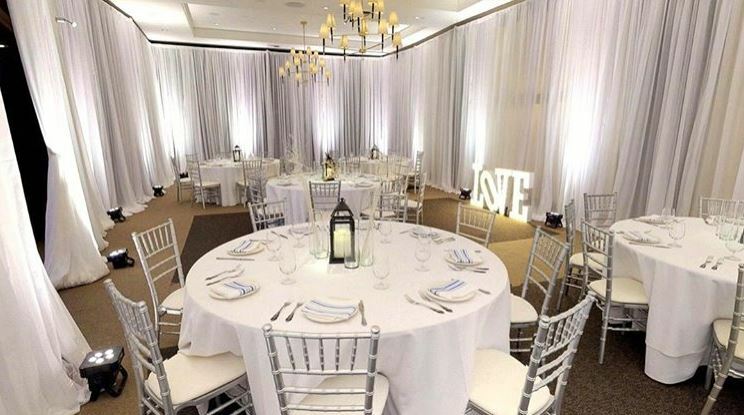 Our wedding packages include options for Breakfast, Lunch, Dinner and Cocktail Receptions. Buyouts are available upon requests (minimum number of guests required).